Presented in an insulated box. Very popular. A selection of great and tasty local specialities. 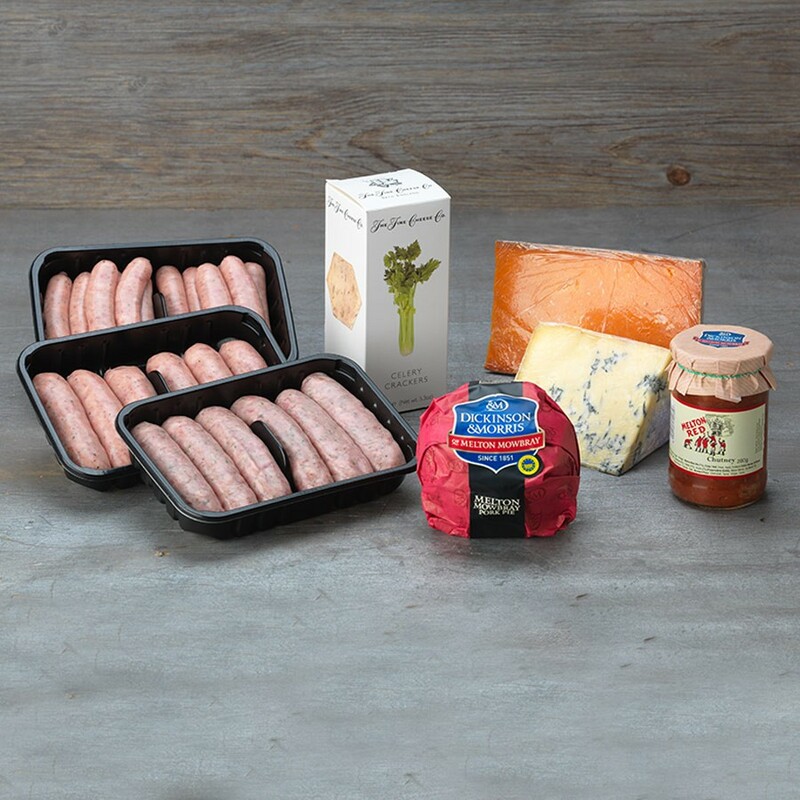 Melton Mowbray Pork Pie, Blue Stilton and Rutland Red Cheese with Walnut, Honey & Olive Oil Crackers and a jar of Melton Red Chutney with a selection of our most popular sausages. Large Dickinson & Morris Melton Mowbray Pork Pie (454g), Wedge Blue Stilton Cheese (454g), Melton Red Chutney (280g), Walnut, Honey & Olive Oil Crackers (125g), Rutland Red Cheese (200g), Dickinson & Morris Thick Pork Sausages (454g), Lincolnshire Sausages (400g), and Dickinson & Morris Chipolata Pork Sausages (375g).